MY STORAGE Self Storage offers for sale at our office a wide range of excellent quality moving & packaging supplies like individual boxes, bubble wrap, protective wrap, furniture covers, packing tapes & knives plus highly secure padlocks. Click on pictures to enlarge. Tape required to secure box. 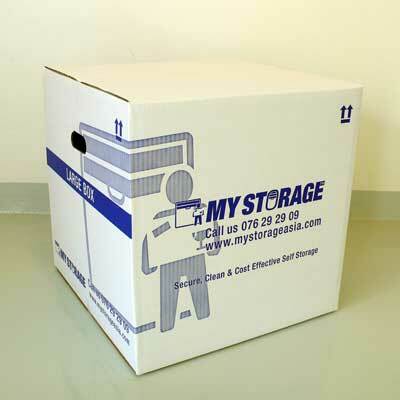 MY STORAGE branded strong multi purpose double walled cardboard box perfect for heavy or fragile items and long term storage. Box folded so it automatically secure top and bottom. 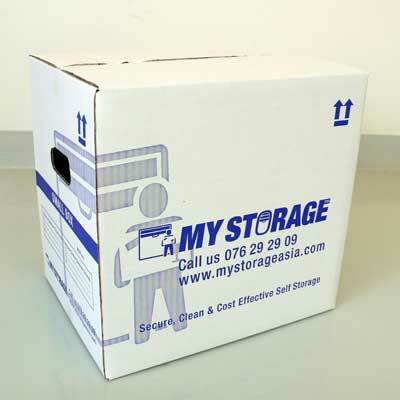 MY STORAGE branded multi purpose light duty single wall cardboard box. 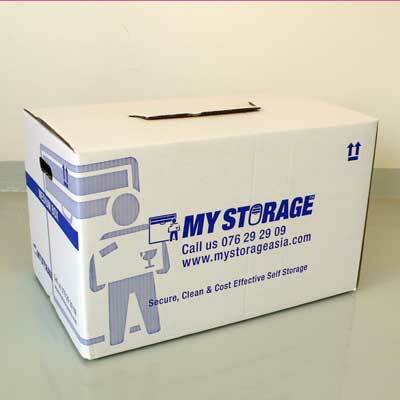 Suitable for storing books, CDs, clothing and good for short moves and less fragile items. MY STORAGE plastic storage box with lid is a practical storage solution. The clear box enables you to see the contents clearly for easy access and the size of the box means you can fill it with larger items. 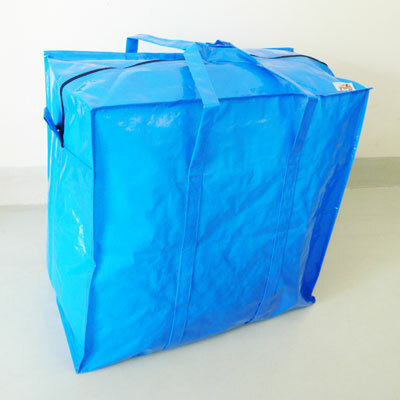 MY STORAGE large double layered woven multipurpose plastic bag perfect for Storage/ Shopping/ Laundry of linen, pillows, sheets, towels and clothing. 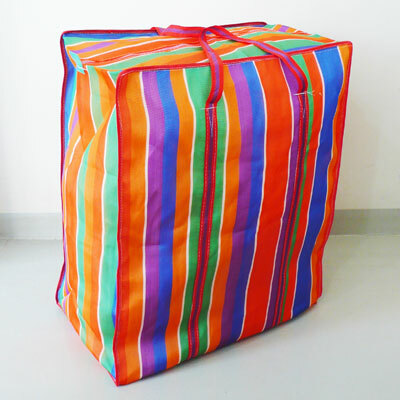 MY STORAGE small single layered woven multipurpose plastic bag perfect for Storage/ Shopping/ Laundry of linen, pillows, sheets, towels and clothing.